“We believe in being as clear with our customers as we can be! No hidden charges on any bookings made via IRCTC Air!” tweeted the official Twitter handle of IRCTC. The tweet comes after budget airlines IndiGo was slammed for launching extra charges for web check-in for all seats. Though IndiGo clarified that there is no change in the web check-in practice and it is not mandatory to pay for the seats, the trolling has not stopped. 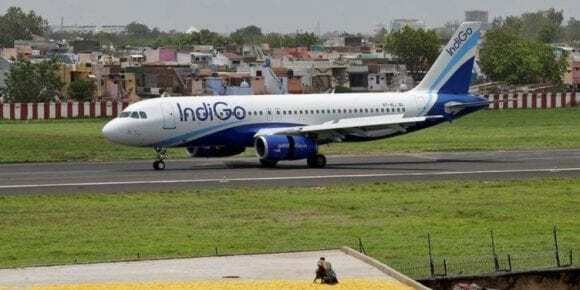 The certain policy came to light after a passenger raised a matter to which IndiGo responded, “As per our revised policy, all seats will be chargeable for web check-in. Alternatively, you may check-in at the airport for free. Seats will be assigned as per the availability.” While people slammed IndiGo for the tweet, Indian railways did not let the opportunity pass and trolled the airlines. “No need to pay extra charges for Web-Checkins. No long queues for checking in your luggage. Avoid unreasonable tariff &decrease your carbon footprint by traveling on the good old Indian Railways at affordable rates” the Railways tweeted.